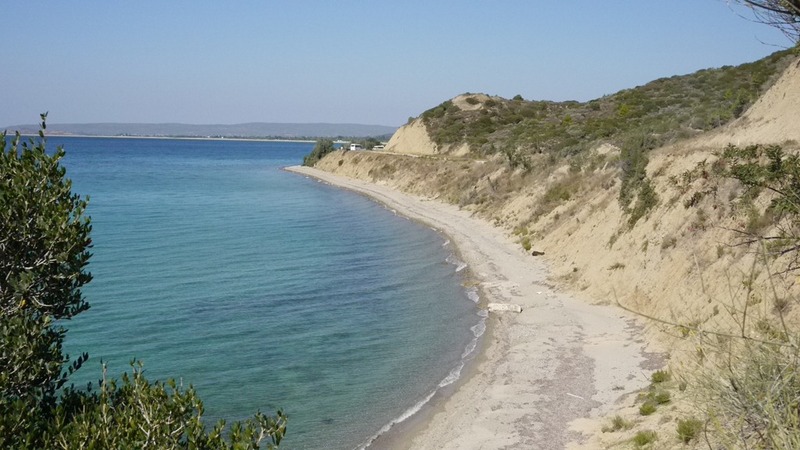 Looking out over the peaceful Aegean Sea from Anzac Cove, it was hard to imagine the site once hosted such bloodshed and violence. Small white tablets and rosemary bushes dotted the lush grass around me, marking only some of the thousands of deaths among both Allied and Turk forces in 1915. 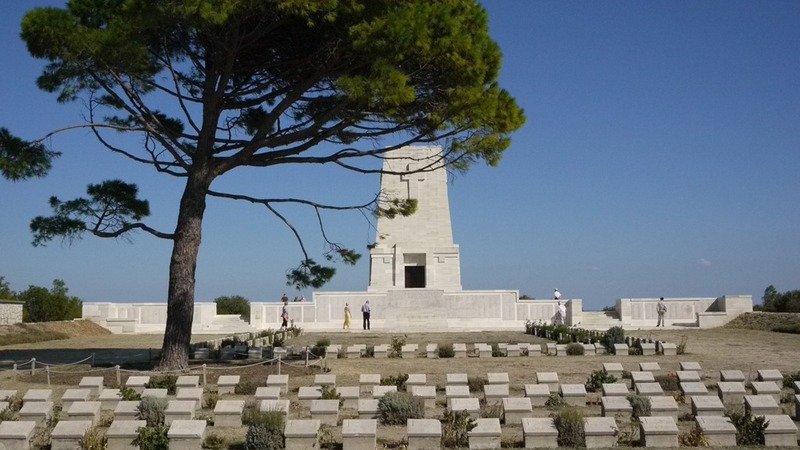 Throughout the day I visited many of the famous sites across the Gallipoli Peninsular, (Lone Pine, The Nek, Anzac Cove) and heard detailed accounts of the Gallipoli campaign from both Turkish and ANZAC perspectives. While almost 8000 Australians 2500 New Zealanders were killed in the nine month campaign, along with thousands of other allied soldiers, the Turkish death toll was much higher at 87,000. The Turkish hold this conflict as a loud example of how war is unnecessary and peace should be paramount. The national motto is now ‘Peace in the Homeland, peace in the world’. 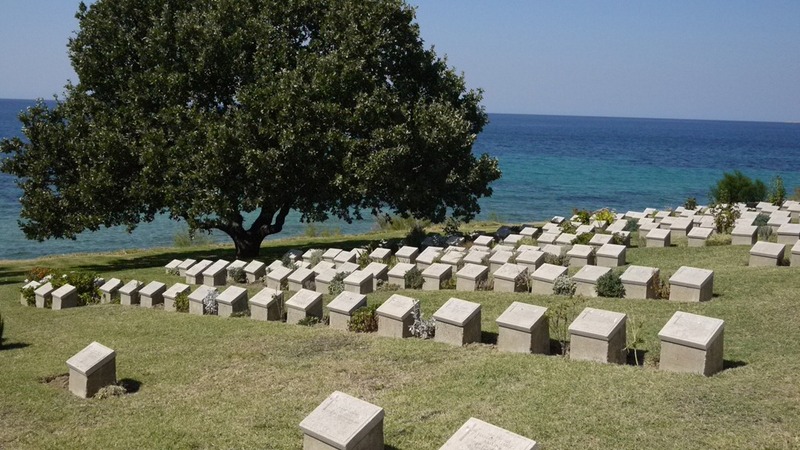 Of course, the Gallipoli campaign a significant part of Australian culture as well. It forms the basis of the bronzed Aussie stereotype, the ANZAC legend, mateship ideals and arguably, has established the core of national identity being the first major international conflict to unite a young Australia. And while we honour this loss every year on April 25 Anzac Day, I do wonder if the lessons of war are becoming lost in the free fortune Australian society now enjoys. In the last few weeks I have toured a number of war memorials and been shocked and saddened by the horror humanity can inflict. In Berlin I learnt of the murdered Jews and many other casualties in World War II. In Prague I was told of the ongoing bloodshed in between Catholics and Huessites in the 16th century and saw a chapel made of bones from conflicts with the great Prussian army. In Dubrovnik, Croatia I learnt of the more recent civil unrest and the 1991 bombing of Dubrovnik by the Yugoslav army. The biggest shame in it all of this is: these conflicts are only a blimp on the history of wars in the world. Not ever seeing wartime or personally knowing anyone in war (thankfully), my mind reels at the thought of war. Why do humans feel the need to slaughter each other on mass for religion, wealth or power? So today, as I sat under an oak tree at Anzac Cove, incredibly moved by the monuments in front of me, I contemplated the notion learning from history and choosing not to enter into war. Are we learning? Do the thousands of tourists that come to Gallipoli or go to WWII concentration camps or the Vietnamese War Crimes Museums learn from the horrors they see? Do people still sincerely value the sacrifices made in wartime for the hope of future freedom? Do these war memorials glorify the bloodshed to legend status and eclipse the the horrible reality? All I know is that I know a little more about Gallipoli after today and I feel a little more thankful for the peace we have at home.